Bakari T. Sellers was born in 1984 and raised in Denmark, South Carolina. Bakari graduated from the South Carolina public school system, and then proceeded to Morehouse College. While at Morehouse, he was elected Student Government Association President and served on the College’s Board of Trustees. He earned a Bachelor of Arts degree in 2005. In 2006 Bakari made history when, at just 22 years old, he defeated a 26-year incumbent State Representative to become the youngest member of the South Carolina state legislature and the youngest African American elected official in the nation. Later in 2014 he would run for Lt. Governor of South Carolina. He has gone on to gain extensive leadership experience and receive numerous accolades including working for the Democratic Leadership Council and Obama for America in addition to appearing on TIME Magazine’s 40 Under 40 in ’10 and “The Root 100” list in ’14 and ’15 of the nation’s most influential African-Americans. He has been a member of the South Carolina Legislative Black Caucus since 2006. Today, Bakari continues to practice law with the Strom Law Firm, L.L.C. 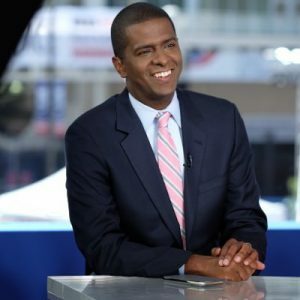 in Columbia, SC where he has been since 2007 in addition to being a popular commentator for CNN where he is known for critiquing hot topical issues including the Charleston, S.C., church massacre, and the Confederate flag flying over the South Carolina Statehouse.